The azure waters of the Mediterranean lap in the pebbled bay of Marseille's Calanques National Park. 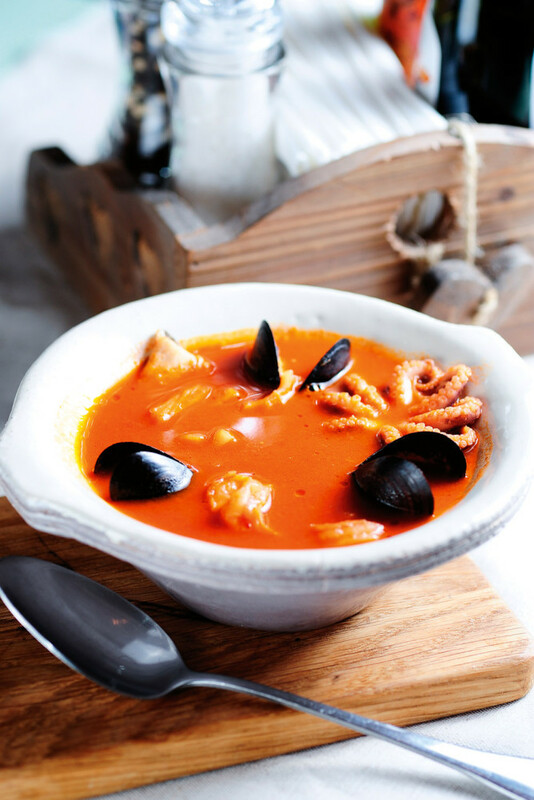 Bouillabaisse, a fish stew synonymous with the historic port city. 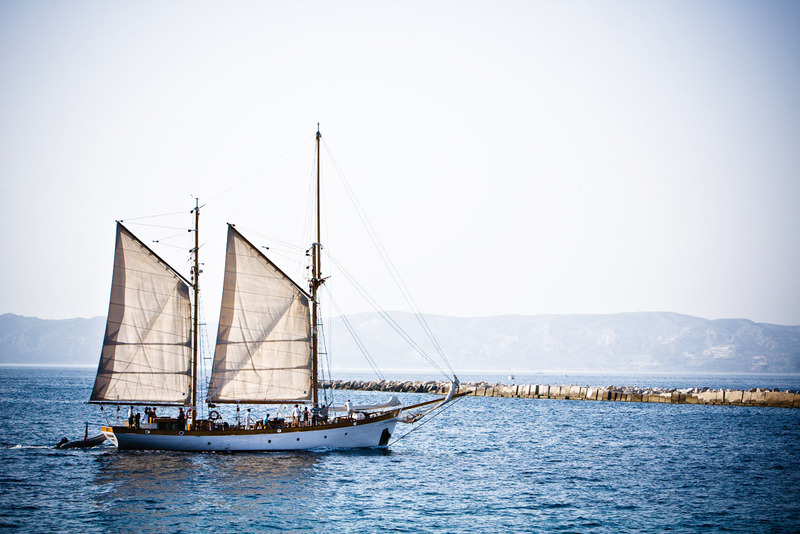 An old sailing boat off Marseille's coast. La Galerie de la Méditerranée, Marseille. The southern city of Marseille has long suffered a reputation for being a bit dodgy and a bit drab compared to other French cities. But after some serious zhushing – and a turn as European City of Culture – it’s now got a whole new swagger. Words by Leigh-Ann Pow. 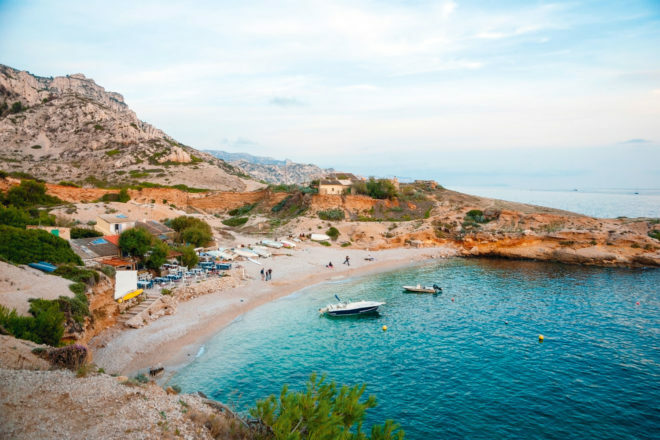 It’s not really common practice for writers to construct travel stories on destinations that they only visited for a few hours – eight to be precise – as part of a Mediterranean cruise. We usually like to indulge in a place, get the lay of the land, and take lots of notes and some snaps along the way. But there are exceptions to the rule. 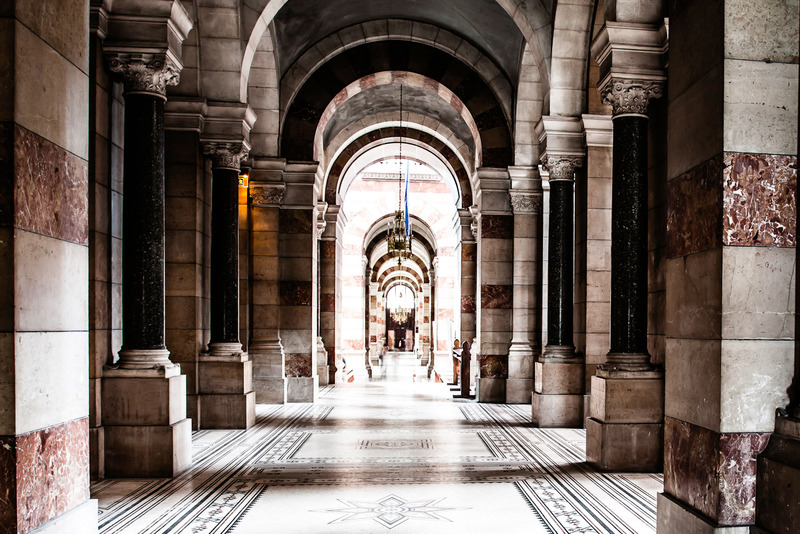 Some places just seem to captivate – or fascinate – you from the very start, their allure taking hold from the first minutes of experiencing them. Marseille is one of those places. It could be the fact that I was starting from a low base of expectation; there were very few people (read: none) who had anything good to say about Marseille. When asked, they mentioned that the historic old port area was rather grotty and filled with ne’er-do-wells, that there was nothing much of merit to do or see, and that pick-pocketing and crime was rife throughout the city. Their best advice when asked what to do when in Marseille was to catch the first bus out of town and see something nice – Aix en Provence, perhaps. But every one of these kind friends with helpful advice turned out not to have actually visited the city in decades – if at all. Their opinions of the city were formulated before the Méditerranée Project was instigated in 1995, pumping billions of euro into the revitalisation of the city including new museums and civic attractions conceptualised and executed by some of the most famous and celebrated architects in the world, and prior to the city being crowned as European City of Culture in 2013 by the European Union. So imagine my surprise when I arrived – second-hand prejudices firmly tucked into my conscience – to discover a harbour and old port area buzzing with colour, activity and relentless positivity, and an entire city attempting to reinvent itself by sheer dint of determination. Marseille is the second largest city in France, with a population of 855,000 (the metropolitan population is over 1.7 million, making it the third largest metropolitan city in France after Paris and Lyon). A busy port on the Mediterranean Sea that is a fixture on the European cruise circuit and the gateway to the wonders of Provence and the Côte d’Azur (the city is the capital of the region), it was founded in 600BC by Greek mariners, who named it Massilia, and became part of France in the 1480s. In 1792, during the Revolution, the city sent 500 volunteers to Paris to defend the capital; as they walked they sang a march by Strasbourg. La Marseillaise would become the French national anthem. Today an estimated 30 to 40 per cent of its population are Muslim. The best place to witness Marseille’s dramatic transformation is in the old port area, Vieux Port. It is here that the bulk of the Mediterranee Project money has been spent, reclaiming the pretty harbour and the surrounding waterfront from decay and neglect and crime and making it a focal point for the city. The new world order in these parts is immediately evident as soon as you glimpse the stunning facade of the Museum of European and Mediterranean Civilisations (MuCEM). 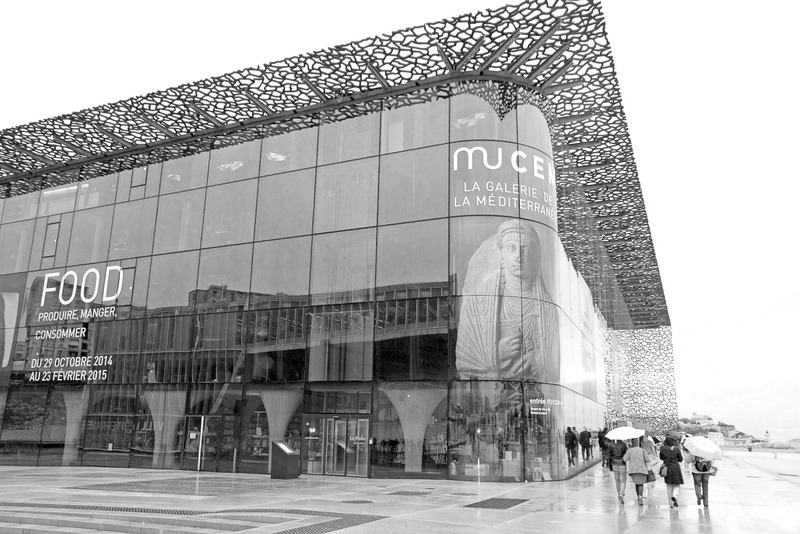 The vision of Algerian-born architect Rudy Ricciotti, the museum is encased in an intricate shell-like façade, a giant latticed spider’s web (it was designed to resemble a North African mashrabiya), through which the sparkling waters of the Mediterranean can be glimpsed below as you make your way around the interiors. The hulking form is startlingly modern and also firmly anchored in history, linked as it is to the 17th-century Fort Saint Jean at the mouth of the harbour by the clean lines of a long steel bridge. Inside the space is expansive, with special exhibitions bumping in and out regularly, as well as cafés, a chic rooftop restaurant and a bookshop with mushroom-like columns and floor-to-ceiling windows. Right next door is another architectural exclamation mark: La Villa Méditerranée. An archive and research centre complete with an exhibition floor and underwater conference suite, the breathtakingly cantilevered building by Boeri Studio sits all white and bright right on the waterfront, with gently sloping stairs leading down to a vast pool and offering shaded respite from the unrelenting glare of the summer sun. The vibe around these buildings is another side effect of the civic revitalisation: in a city that languished in a serious case of the social and economic doldrums for decades, and where things are still not perfect by any stretch, the ebullient vibe – with families strolling together, music wafting on the gentle breeze, seagulls wheeling overhead, tourists taking happy snaps and street performers drawing a crowd – is totally infectious. Another man-made wonder nearby is the Vieux Port Pavilion, a futuristic open-air event space by Sir Norman Foster’s Foster + Partners crowned by a canopy of polished steel that reflects the melee of tourist and locals walking below. And a short walk will deliver you at the FRAC Marseille by Kengo Kuma & Associates, with its giant opaque glass patchwork façade and modern art collection within. Mingling amongst all this contemporary construction, a number of historic buildings in the area have been rescued from rack and ruin: an old delousing centre used to process immigrants, mainly from North Africa, which stood deserted and graffiti-daubed for 40 years, and only just escaped demolition in 2009, is now the Musée Regards de Provence; the new InterContinental Hotel Dieu is housed in an 18th-century former hospital on the north side of the port. At a leisurely stroll these landmarks peppered around the old port will take you a day to do really well (sit for lunch at the old harbour in between and watch the myriad boats moored there bobbing up and down rhythmically), and if that is all the time you have in the city then you will have seen some of the best bits that the cleaned and preened Marseille has to offer. A Neo-Byzantine Catholic basilica consecrated in 1864 and perched high above the city on a natural limestone outcrop, crowned by an enormous gilt statue of the Madonna and child. The city’s old town, has grand historic architecture; take the Petit Train to see the myriad sites. Take a boat ride from the old port to the 16th-century island fortress that will forever be associated with Alexandre Dumas’ The Count of Monte Cristo. The unctuous fish soup, synonymous with the seafaring city, was in times past a fishermans’ stew but has become an expensive local delicacy. There’s even an official Bouillabaisse Charter dictating the ingredients that must be used for the spicy stew to be considered authentic. Stay in this Philippe Starck-designed hotel. It has a restaurant and bars, and Le Plage with 40 colourful deck chairs reserved for guests.